News | HUND MÖBELWERKE | Salone del Mobile Milano. Milan does not necessarily have the reputation of being one of the most beautiful Italian cities, though one has to admit that the level of competition is high. Not many cities play in the same league as Venice, Rome and Florence do. Milan probably doesn’t care. The city therefore is Italy’s economic heart. And this can rarely be seen so clear as during the “Salone des Mobile Milano”, the yearly held furniture fair. In the first week of April (4th – 9th April 2017) more than 2.000 exhibitors will show their products on roughly 200.000 square meter. More than 300.000 visitors are expected from about 165 countries. This year the Workplace 3.0 will be held for the second time at the “Saloni”. 92 exhibitors will show on 10.000 square meter their finest products and solutions for the office workspace. They will present solutions for the future of hew we are going to work and will answer the question how office spaces can get more homelike. A special exhibition curated by Italian architect Critina Cutrona takes on the question how our future workstations will be designed. Workplace 3.0 is much more than a simple showcase, it is more like a think-tank, that is looking for new solutions for all our working environmend. But this is only one part of the fair. 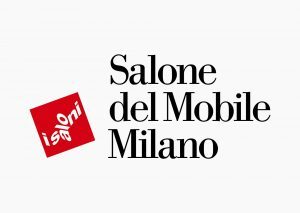 What makes the “Salone del Mobile” so special, ist the close cooperation with the city of Milan. The city hosts all kinds of events, lectures and exhibition in showrooms, museums, etc. There will even be a design parade. A special highlight of this so-called “Fuorisaloni” can be visited in the museum for modern art (Gallerie d’Arte Moderna). The museum hosts the exhibition “Doppia Firma” (Double signature). 15 couples of designers and artisans come together to create amazing pieces. They combine their modern design approach with traditional workmanship. A must!